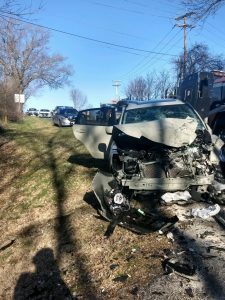 Company 3, along with Station 10, responded to a traffic accident at the intersection of West Lee Hwy and Framers Lane. Upon arrival, found several vehicles involved with rear, frontal and lateral damages. 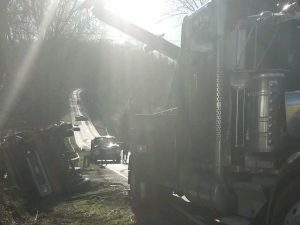 One vehicle was found on its side. Five occupants transported to the ED, with one air-lifted. Contained leaking fluids as law enforcement controlled traffic. Call cleared 17:20.